The possibility of student housing on the site of Filton's Newleaze House looks unlikely, it has emerged. Social landlord Merlin Housing Society is now looking to build much needed new family homes in Filton after deciding the sheltered accommodation was no longer fit for purpose. The majority of residents have agreed to move out, many to a new apartment complex in Bradley Stoke. In the interim, Merlin has agreed to make the property available for rent by key workers such as nurses and police officers. 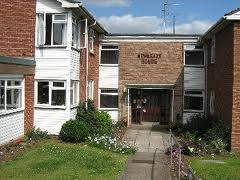 The Yate-based Society intends to build the properties on the site of Newleaze House – one of the supported housing schemes it is closing due to its unsuitability as housing for older people. Merlin had hoped to keep the existing buildings and use them for another specialist group like students, but research has shown this option – which was also unpopular with local residents - to be unfeasible. Peter Crouch, Development Manager at Merlin said: “We’ve made a decision based on our Business Plan and our finances, but it has also taken into account the views of our community and local councillors. The majority of residents of Newleaze House agreed with the proposal to close the outdated scheme. Most have taken the opportunity to move into Bluebell Gardens, Merlin’s brand new Independent Living Community in Bradley Stoke. Merlin has also arranged for an organisation that houses essential workers like nurses and police officers to let the property until the site is cleared. "People told us they were worried that it would become a target for vandals if it was left empty, so we came up with a solution that will allay those fears,” said Peter.